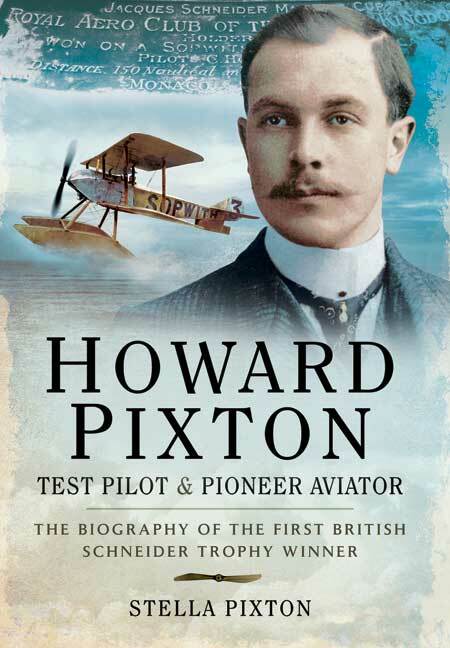 You'll be £19.99 closer to your next £10.00 credit when you purchase Howard Pixton – Test Pilot and Pioneer Aviator. What's this? As featured on Manx Radio and in Isle of Man Today, the Yorkshire Post and Blackpool Gazette. It's a great story, very well told. For any aviation history enthusiast, particularly those interested in the early days, this book is a must read. The pioneering days of aviation are often overlooked so it is good to see this book (written by Pixton's daughter) shed light on man's first attempts at flight and the birth of the constant quest for aerial speed. This is a very valuable account, beautifully produced by the publisher and illustrated with a fine photoplate section that includes never before published images. A great tale. It is likely that many aviation enthusiasts will be unfamiliar with the name Howard Pixton and those that have may not know of the full scope of his achievements. This excellent book, 'ghosted' in the first person by his daughter, Stella, goes a long way in rectifying that gap in our knowledge. I enjoyed it thoroughly, not just because of the historical insights which it gave into the golden age of aviation before the First World War but also because it is a very good and entertaining read. It is impossible to read this book and not come away full of admiration for Howard Pixton and his contemporaries. The text is enhanced by a splendid collection of photographs and an absorbing appendix of documents. Highly recommended. Stella Pixton is the author of that great man and was born in the 1930s. She has 'ghosted' this account of her father's life until the end of WWI and the narrative is written in the first person. It is not made clear whether the source material was written or oral, but he detail is amazing. Every stage in Pixton's early career is covered and the pages are littered with the names of famous early aviators and anecdotes about them. Stella Pixton is Howard’s daughter and she draws on family papers to tell the story of her Father’s life as a man and aviator. She runs a popular business on the Isle of Man where she is well known as a colourful character. She is represented by her son, Robert Dallas.